9ct or 14ct solid rose gold morganite necklace. 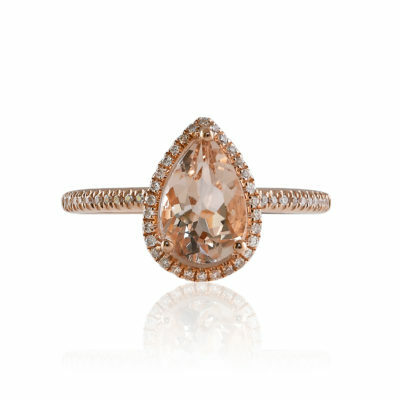 The Upper East necklace features a round, peach toned Morganite. 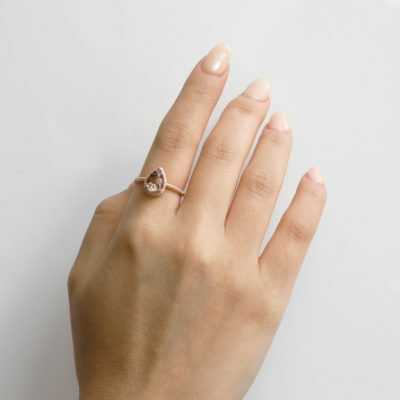 Aside the morganite sits a single round brilliant cut diamond (or white sapphire depending on your preference). This necklace can also be made to order in white gold or yellow gold. If you’d like your necklace made in an alternative colour, please add an order note including this request during the checkout process.